Due to a family emergency the Damanhur events listed below are now canceled. Hopefully sometime soon we will be able to bring these lovely people back to Asheville. Members of the Italian community of Damanhur will visit Asheville August 15-19, offering evening presentations with Q&A, as well as a two-day weekend workshop on Ancient Civilizations and Atlantis. Wednesday August 15th, 7pm-9pm $10 at Earthaven Ecovillage in Black Mountain, $10. Friday August 17th, 7pm-9pm $10 at The Sacred Embodiment Center downtown Asheville, $10. Evening Talks include a 35 minute video, describing many of the aspects of Damanhur’s communal living and also shows and talks about the Temples of Humankind, often called the “Eighth Wonder of the World,” the Temples were dug by hand from the stone mountain by the people of Damanhur. After the video presentation, there is dynamic session of Q&A which goes on for at least one hour and covers all aspects that are of interest to the audience. Saturday & Sunday August 18-19th , 9am-5pm at The Sacred Embodiment Center in downtown Asheville. $200 in advance at Brown Paper Tickets. Crotalo Sesamo, the course presenter, offers the questions “What if mankind, in this very moment of history, is not at the peak of its evolution, but instead weakened by a loss of knowledge about itself? What if part of the solution to problems and challenges in the world today can be found by reconnecting differently with parts of our own past?” He then goes on to offer ideas, possibilities and meditations that the adventure of humankind is a much longer story than we are usually told, and linked not only to Earth but to the Universe. Is it possible ancient alien and extra-terrestrial colonies represent the origin of different evolutionary streams of the human seed on Earth? 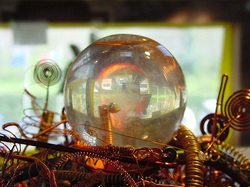 Is there a hidden history of humanity – that caries within it possible future developments. During this course you will be given the opportunity to look at some classic themes from this line of research. Atlantis, for example: whether or not it existed is not the point, the question is why the traces which lead to it are so weak, as though its history has been consumed in another time line, and we are only reached by a weak echo of it in the form of a myth. And there are other civilizations which we today confine to myths because we are not able to place them historically. Maybe they have become myths so as to blend in with other legends and no longer give us access to valuable historical perspective and technologies? This course will touch on the mystery of Atlantis with its unusual archeology and lost knowledge as well as our stellar roots, presenting innovative approaches to how we can link with a different time line, including the theory and the experimental hypothesis of time travel. Founded in 1975 and located in Northwestern Italy, the Federation of Damanhur is an internationally renowned center for spiritual, artistic, and community development. 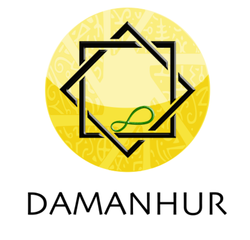 Damanhur is also an evolving intentional community of over 1000 people worldwide. Damanhurians are known for having built the world’s largest underground temple, called the Temples of Humankind, composed of astonishing and inspirational vaulted ceilings, stained glass, sculptures, and murals based upon sacred geometry. Born in Turin (Italy) on January 16th 1970. His first contact with Damanhur at the age of 17 was the result of his interest in Natural Medicine and the Development of Paranormal Faculties. He has lived in the Federation of Damanhur as a spiritual researcher for 20 years, specializing in the fields of Spritual Healing and the development of human potential. Specialist in the fields of Spiritual Healing, Ancient Civilizations and Inner Research, he teaches courses in Astral Travel, Past Lives, Inner Harmonizing, and Selfic Healing. In 2001, after 33 years in the USA and answering a strong soul’s calling, Shama returned to her native Italy to become a Citizen of Damanhur. Inspired by the Damanhurian Sacred language, she has created ‘Bral Talej" a new divination system that uses ancient Damanhurian symbols. At Damanhur, the human being is always considered holistically as a union of mind, body and spirit. Attention is not directed towards the illness but to the entire needs of the person, including those on an inner level. Every human being is unique, and for each one the path to health is specific and personal because it not only involves the physical, but also the emotional and spiritual. Prana is one of the most ancient forms of healing, able to rebalance the body through the universal energy called ’Prana’. The care of the body through the care of the soul. Prana helps to find inner balance, bringing light to our spiritual self and revitalising our subtle bodies. The deepest areas within each one of us can be re-awakened, bringing great changes in the quality of life. The use of prana can also benefit the body and its different organs. Prana or spiritual recovery, as it more accurately termed, is beneficial in a great variety of diseases, and a very effective complement to all other forms of treatment. This ensures a perfectly safe, clear and effective transmission of energy. menstrual cycle. The Stiloself can be also used in more serious illnesses, such as the relief of pain caused by bone metastasis or to check the growth of benign neoplasm (fibroids, ovarian cysts). It helps in resolving small skin imperfections (marks, broken veins, warts) and generally helps the repair processes of the skin. The stiloself has a calming effect, relieves anxiety and encourages concentration and memory recall. The ‘cell regeneration prana’ is a specialization of the classical prana. In this session, the flow of prana energy is directed to the level of the cells to solve problems or imperfections due to age, such as acne, wrinkles, unfit muscles. It is also a valid support when starting a diet and to reduce water retention. For this reason it is called ‘beauty prana’, because of its strong action in reducing the signs of time on the face, the neck, the hands, the parts of the body where aging is visible. It also helps in case of hair loss. It does not substitute the standard pranatherapy, rather it integrates it on an aesthetic level. uncontrolled and unexplainable manifestations that can occur, creating real problems. This kind of ‘subtle’ cleaning of homes prepares the environment also for a contact with positive energies and presences. Duration and Price is based on the size of the home. Please ask for details.